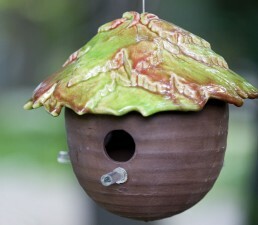 We love these bird houses. Hand made in Utah by a wonderful group of artists. 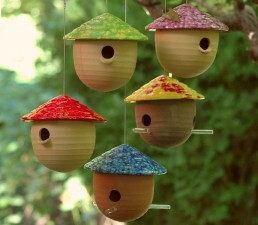 These feeders are a great complement to the decorative mushrooms they make.